In his speech, Modi also blamed the previous governments of tokenism and not doing enough for small businesses. "Do you know 25-30 years ago there used to be loan melas for political benefit?" he posed to the audience, adding that there used to be great fanfare for them but no one bothered to find the end results - back then people who were close to politicians used to gets loans with no intension of returning them. 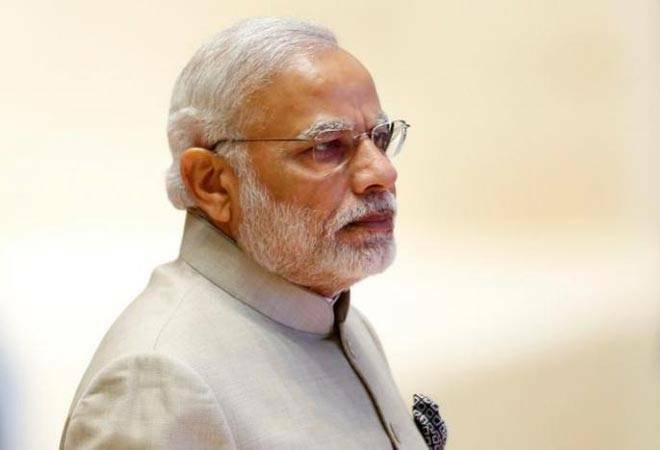 Prime Minister Narendra Modi today said one crore people have been benefited from the government's flagship scheme, Pradhan Mantri Mudra Yojana in less than two months. While interacting with the beneficiaries of the scheme, he said that loans worth Rs 6 lakh crore have been disbursed to 12 crore people since its launch in April 2015. In a similar interaction on April 11, he had said that 11 crore people had benefited from the Mudra scheme. Prime Minister Modi said the NDA government neither organised any loan melas, nor gave space to intermediaries. Instead it trusted the country's youth and women to get loans directly from the banks without any collateral and start their own small ventures. In doing so, the scheme has helped and encouraged people to tread the unconventional path, fulfil their dreams and generate jobs for others by setting up small businesses. "This initiative places faith on the skills and strengths of 125 crore IndianSMudra is for people who want to achieve something in life. We tried to empower them to create products," said the prime minister. "We have been facing the problem of license Raj in our country since Independence. But the scheme has helped remove middle men." Modi recalled that there was a time when the country's Finance Minister "had to personally make calls to pass the loans of businessmen", resulting in the small-sized businessmen being left behind. "We have broken this vicious cycle," he said, adding that the Mudra Yojana has taken youth and small businesses out of the clutches of money lenders, who used to charge interest rates as high as 40 per cent. According to Modi, out of the 12 crore beneficiaries, 28 per cent or 3.25 crore, are first-time entrepreneurs. Also, of the total borrowers, 9 crore - or 74 per cent - are women and 55 per cent belong to the SC/ST and OBC categories. The government extended Rs 2.53 lakh crore credit under the Mudra Yojana in the previous fiscal, while Rs 5.73 lakh crore has been extended in last 3 years. The prime minister also claimed that the Mudra Yojana is not just a self-employment scheme but it acts as job multiplier since it has created employment as several new ventures got started. "Mudra has restored the confidence of people in the system as there is no discrimination for getting loans under the scheme," he said, adding that it has brought many poor citizens into financial mainstream with NBFCs and microfinance institutions coming on board. "If the youth of the country had got schemes like Mudra decades ago, I believe the huge migration to cities would not have taken place," he proclaimed. So are these just tall claims in the run up to election year or is the Mudra scheme really a game-changer? According to India Today, the average ticket size of the sanctioned loans is Rs 46,530 and the average disbursed amount is Rs 45,034. That can hardly be considered enough to start an employment-generating start-up. Furthermore, a recent RTI petition revealed that the number of large loans disbursed under the scheme - that is loans exceeding Rs 5 lakh that are more likely to manage Modi's job multiplier claim - stood at a miniscule 1.3 per cent. The report added that according to informed sources, there is no record on employment generated by the loans disbursed under the Mudra Yojana.